Microsoft’s big CES keynote, which was hotly tipped as a reveal for the impressive Courier slate PC, was actually just a luke-warm Windows 7 promo. And that has one big result: The tech world is now waiting on Apple. At second glance we can deduce a bit more about the hardware: It’s thicker than you might have expected–chunkier even than the ill-fated CrunchPad–which probably relates to the more powerful netbook-like hardware inside needed to run Windows 7 without sacrificing performance or battery life. There seems to be at least one port, which doesn’t seem to be a USB one. And there’s a power switch. Hmm. That’s not much more. By watching Ballmer himself juggle the machine during the keynote we learned one more fact: Finding Windows 7 controls on the tiny screen wasn’t easy, even for the man in charge of the whole company (who should presumably know his way around the gear!). That went for big controls like the Media Player “play” button as much as the tiny “close window” icon. And that, I’m afraid, suggests that an unadulterated Windows 7 experience on small slates like this won’t make for fabulous user interactivity. It is, in fact, going to be very much the opposite of the intuitive UI demonstrated on MS’s own Courier research project slate PC. And that’s an interesting conclusion when you learn about the latest rumor to snake out into the world concerning Apple’s own fabled slate machine: A friend of a friend of an Aunty’s cat who knows someone working at Apple (actually, it’s just a writer’s connection at the firm, but you get the point) has let slip that the user experience on the iSlate is so transformational that it requires a “steep learning curve.” That’s worried some commentators–but they’re missing the point perhaps, since a steep learning curve isn’t bad. And the leak doesn’t imply it’s a long, steep learning curve. Think of it as similar to the experience of dyed-in-the-wool Windows users first using a Mac: It’s confusing, since you’re so conditioned to doing things the MS way, and there’s a huge lot to learn. But when you’re there, the experience is way more natural. And that could be the way the iSlate works. 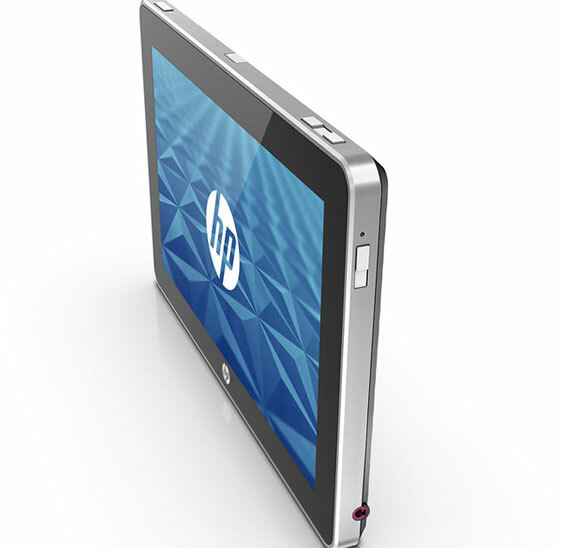 Though this is conjecture, if it’s better than that HP Win7 experience, the thing is going to be great. Which means the pressure’s really on Apple to deliver in two weeks time. We can expect to hear dribs and drabs more about the machine in that time, since an ex-Apple employee has just spilled the beans on the very same deliberately leaky PR shenanigans that I suggested the company gets up to. And from the leaks and speculation so far, it seems Apple might well come up with the goods.